Could You Be the Dead or Alive 6 World Championship 2019 Grand Champion? 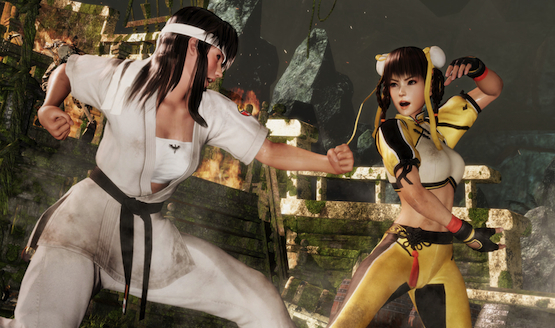 Be ready to counter, strike, and compete in the Dead or Alive 6 World Championship when it begins in April 2019. This Koei Tecmo and Team Ninja esports event, will be offer 10 million yen ($90,000) in prize money to the finalists who make it to Japan after the qualifiers in the United States, Europe, and Asia. The tournament starts in the United States at CEO 2019 in Florida between June 28-30, 2019, and then carries on to the Summer Jam in Philadelphia (August 30-September 1, 2019), Kumite in Texas 2019 (September 13-15, 2019), The East Coast Throwdown in New Jersey (October 18-20, 2019), and The Fall Classic in North Carolina (TBA). The events in Europe are The Mixup (April 20-21, 2019), VSFighting 2019 in Birmingham, England (July 20-21, 2019), and Ultimate Fighting Arena 2019 in Paris, France (September 27-29, 2019). If you can’t go to these events, you can also take your fights online. There will be four spots given to those highest ranked highest on the Dead or Alive 6 leaderboard. The winners will be crowned by ranking points over the span of these tournaments. The more ranking points the players acquire from winning, the higher they will be on the leaderboard. The number of players who will get to compete from each region aren’t divided up equally by region. The top five players from the U.S., three players from Asia, and three players from Europe will be going to Japan. Three spots will be remaining from the winners of the offline Fatal Match events at Summer Jam 13, CEO, and the Fatal Match event in Japan. Two will come from a Last Chance Qualifier being held at the Dead or Alive Festival. It might be difficult to train with friends online for this tournament however, as lobbies will not be available in the game until April. Team Ninja claimed that this needed feature requires more polish. The update that will be released on March 29th, 2019 will instead offer new add-on support, game balance adjustments, and bug fixes. Will you be competing in this tournament? Let us know!